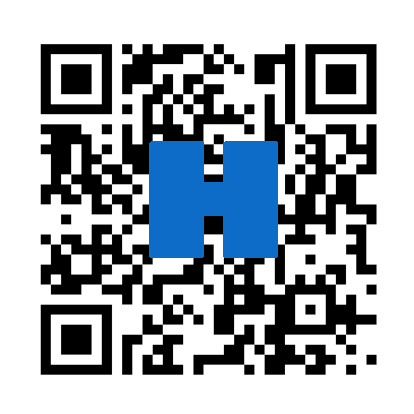 QR codes can be useful in healthcare marketing but only if used correctly. Effective use is dependent on understanding the context and following some basic guidelines. QR codes are the cool thing these days in marketing. Some have said it’s the next big thing because it brings physical interaction into the digital space. And you have begun to see them everywhere. Some places which are very creative and ingenious and some, which are questionable or downright stupid. Just two years ago, only 1% of U.S. adults used QR codes. But according to research from Forrester Research just a year later that number grew to 5%. Then a Temkin Group study recently found that now 24% of adults are using them. So use is increasing. But just how effective are they? Dan Wilkerson, a social media project manager at Luna Metrics (lunermetrics.com) outlined on masable.com some of the problems with QR codes for marketers. He listed 5 problem areas. QR codes are easy to create, inexpensive and trackable. They also open up a world of possibilities for consumer interaction. However from a consumer’s point of view, scanning a code is a little cumbersome and requires time and effort. Worse still, 90% of the time the link is to a website not optimized for mobile. This is frustrating. Many consumers don’t know what QR codes are. An ArchRival study (archrival.com) of college students found that over 75% didn’t know how to scan a QR code. These are statistics that are hard to believe. What looks cool for marketers may not be understood by the consumer. QR codes are not considered a medium itself. More often than not, QR codes are used simply to link to a company website. Is it worth the effort to take your phone, unlock it, boot the app, get the code in focus and scan it, assuming you already have an app. Is it worth the effort just to go to a brand’s website? QR codes are showing up in the most unlikely places. Seemingly everywhere, on everything. And many in very questionable locations with little or no thought for context. Too many QR codes are ugly. And they are often confused with codes used for industrial purposes. Many think they are tracking barcodes instead of a marketing tool. So there are limitations to QR codes. That’s not to say they are useless. They can be effective for healthcare marketer f used correctly. Here are some basic guidelines to improve effectiveness. 1. Make it worthwhile to the consumer. Provide information that is useful and valuable to the consumer. 2. Include instructions with a recommended app spelling out how to use the code. 3. Make sure using the code doesn’t take more than 6-10 seconds. Otherwise you will lose the consumer. 4. Walk through your QR code implementation in a real-world scenario to make sure it’s actually useable. 5. Make the code as attractive as possible and distinguish it from packaging barcodes. You can use Photoshop to round off the corners and sometimes remove portions of the code for better aesthetics. QR codes are not just marketing gimmicks. If they are used that way, they will not be effective. But they can be very useful if they are the results of a defined marketing strategy and provide value to the consumer.